I have to teach Offal – it’s on the syllabus, and I face these lessons with dismay. How can I persuade a class of teenage boys and girls that liver, kidney and hearts are delicious, nutritious foods that they must learn to cook for their exams? I don’t like offal any more than they do. Every Wednesday as a child, we had an evening meal of leathery liver and bacon. The later my father and I arrived home, the longer the liver had simmered to old cardboard and the bits that stuck outside the gravy were curled and crisp. Only the creamy mashed potato rescued the meal from being scooped into my handkerchief, so I could throw it in the garden later. Some friends took me for an East End meal of tripe and onions and I’d gagged at the white lumpy mess. Liver and offal are excellent sources of iron – an essential mineral for girls in their teens and offal is such a cheap, nutritious food and I must teach my class how to cook it. The butcher delivers 25 lamb’s hearts. To complete the recipe I’ve got in Paxo parsley and thyme stuffing, onions, Oxo cubes and flour. Oxo is supposed to give a meal man appeal and any encouragement to eat this dish is essential. They perch on stools around a small, pink lamb’s heart which sits forlornly on its wooden chopping board. There’s groans of ‘I ain’t eating that’ as they push for a place on the stools at the back. Bert speaks for the group. ‘I’d give it to me dogs!’ chirps Ray. Cackles of laughter from the rest of the stools. I hold up a copy of O level Cookery with its red cover, the colour of blood. Groans and vomiting noises, as I peel off stiff fatty bits and remove the tubes, then give the heart a squeeze. A large clot of blood oozes out the top. I give a gleeful hooray. It’s disgusted Liz, who is revving up the rest of the girls. I fill the heart pouches with Paxo stuffing. It still looks like a heart. It is their turn to cook but they’re stuck to their stools. Beefy boys relish the heart dissection and stuffing Paxo into the cavities and the room warms the nourishing smells of fried onion, parsley stuffing and gravy. My ovens fill with tiny pieces of roasting heart. They pack and hurry to more sensible lessons. Sylvia helps me sweep up bits of fat, heart tubes and onion skins and makes a cup of tea. We line up their stuffed heart dishes for collection. Ray pops his head through the door. This is the last stuffed hearts lesson I’ll ever teach. The recipe for this delicious dish is for all to use. We’ll have to use liver for the awful offal lesson instead. Today, hearts are a major ingredient in modern dog food, so my students are right – if you don’t like them, they end up as the dog’s dinner. The 1970’s school cookery textbooks make strange, outrageous claims about vegetarian cooking, which I have to teach to get my classes to pass the exam. At a time when large areas of the developing world eat a vegetarian diet, the books have odd things to say. This odd mnemonic is supposed to help us remember that vegetarians don’t eat meat. Cheese must be replaced with Marmite and eggs left out altogether. So there. That’s clear. When in doubt, leave it out. Nut cutlets are my vegan recipe demonstration, made from chopped nuts and breadcrumbs, shaped into cutlets and deep fat fried. If vegetarians don’t eat meat, why have nuts shaped like an animal part? The fried, nutty bits are so unappetising that even Bill, my food dustbin student, declines to taste. O Level Cookery doesn’t help much on vegetarians either. Well, to some people a bag of chips washed down with a can of cola unattractive too. ‘It is most difficult to supply protein as the protein in beans is of lower biological value so more must be eaten. This means the stomach is very full after each meal’. Well good, isn’t that the point? Fill us up so we are not hungry? Oh no! – enlargements of what? How so! Compared with rump steak or roast lamb? How much do they think a can of baked beans costs? 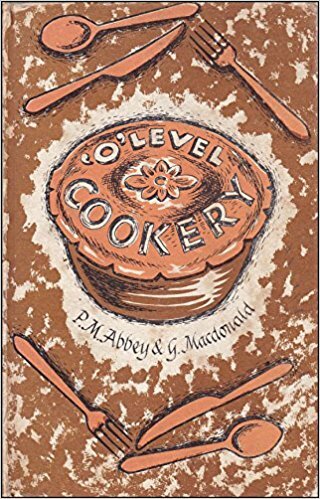 This textbook is written in 1971 and taught in cookery rooms throughout Britain, so how many children in our burgeoning multi ethnic society have to put up with this nonsense? 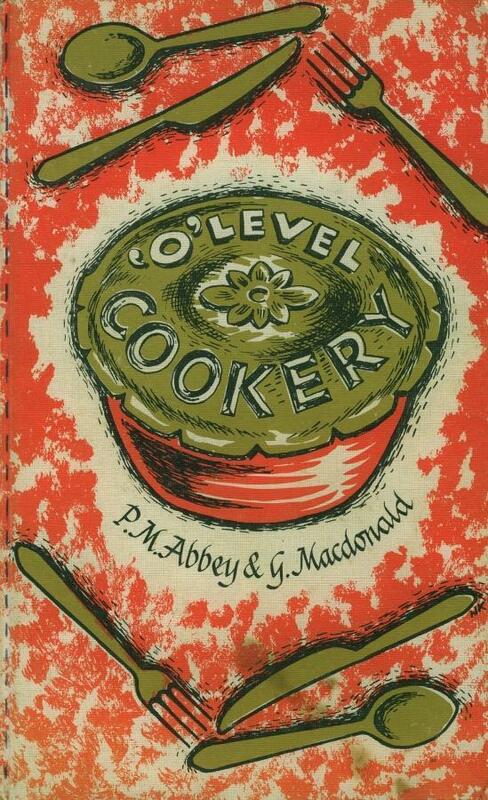 Is Cookery for Schools more helpful on the textbook front? No. Well, isn’t that the point! A vegetarian doesn’t want to eat meat of fish so they would hate these ‘distinctive meaty, fishy flavours’. So there we have it. Vegetarians aren’t normal, they must eat platefuls of vegetables which will fill them up and lead to enlargements. How am I going to teach that frippery? At the end of the lesson, the class reads and answers the set questions in their exercise books. Unfortunately the questions are as mad as the text – here’s the choice. Why are meatless dishes often unpopular? What are the difficulties in arranging and preparing meals for a vegetarian? Meatless dishes are often unpopular because they don’t have any meat in them and me dad says he always has to have meat and two veg for his supper. Meatless dishes can be avoided by not eating them. The difficulties in arranging and preparing meals for a vegetarian are that you need lots and lots of beans and vegetables because they have to eat so many to get their protein and this can be expensive. And then they get really full and enlarged. My class love to torment me with silly answers to my questions. ‘Depends if you mean getting your oats, having your oats or porridge oats.’ I am careful with wording after that. Changes in vegetarian cuisine are on the way. By the mid seventies, the financial downturn in the UK means thrifty cooking kicks in. One day something big arrives on my desk. A bag of brown, dried bits that the sender suggests I use to make new, cheap high protein meals. TVP has jumped into our food chain and the company wants me to persuade the nation’s children that it is a delicious, cheap substitute for meat, which we can no longer afford. My TVP lesson goes like this. I hold out a handful of dried, beige lumps which smell of damp cardboard. Next I pass a pudding bowl with larger, softer lumps. ‘Or bits of old dishcloth.’ Len likes plain food that he can recognize. TVP is not plain. They mumble and grumble and shuffle off to cook up some carrots and onions in a thick Bisto gravy. They pass round the bowl and spoon a pile of the soaked chunks into their saucepans. They don’t want to eat it or take it home, and shamble out of the room clutching their out of date textbooks with the task of answering the impossible questions for homework. That’s vegetarian cooking done for 1972. Haldane Foods is one of the country’s oldest producers of meat and dairy-free produce. Some of their products are available under brands such as Realeat, Direct Foods and Granose which was established over 100 years ago, and some of its products were invented by a Dr John Harvey Kellogg. Linda McCartney popularised a meat-free diet in Britain, published a guide to vegetarian cookery, ‘Linda McCartney’s Home Cooking’ in 1989, and launched her own range of ready-made vegetarian meals in 1991. In the 1960s, there were fears that the world would run out of animal protein. In response to this, scientists set out to find an alternative protein source. The new protein was part of the fungi family and was called Mycoprotein after ‘myco’, the Greek for fungi. TVP® – Textured Vegetable Protein – is a byproduct from soya beans, made after the production of soya oil. After World War 11 there was a huge demand for food, and sales of soya foods and soybean meal increased massively. In the 1930s the soybean meal had been used for animal feed, but by the 1940s it was ‘food grade’ and ready to use in soya products. In the 1971 TVP was approved for the USA school lunch programme, and the product became an ingredient in many prepared foods, to reduce costs. In 1973, in the UK, Cadbury’s launched Soya Choice which they claimed was ‘a roaring success’ because it was nutritious and half the price of meat. The UK economy was in a downturn, the price of meat had soared, so shoppers were looking at ways to reduce their food costs. How is TVP made? When the oil has been removed from the soya beans, the remaining dough is cooked under pressure with steam and extruded. The extrusion technology changes the structure of the soy protein, resulting in a fibrous spongy matrix that is similar in texture to meat which is made into textured, dried granules, flakes and chunks. 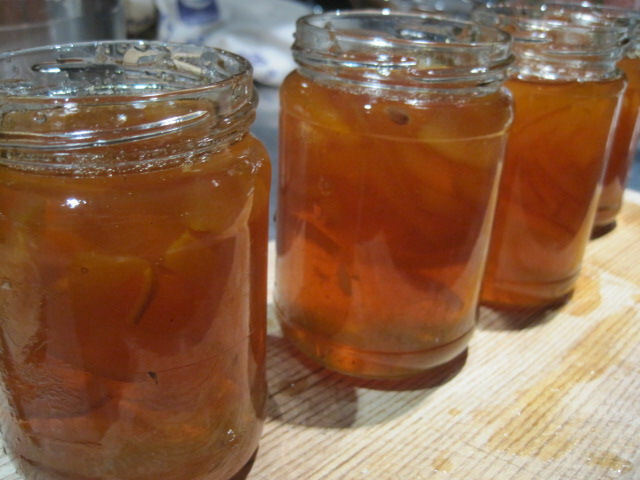 Add water and it swells up and is used as a meat replacer to extend dishes such as minced beef for pies and bolognaise. It is low in cost, low in fat and relatively high in fibre as it is a plant food. Today food producers around the world manufacture and sell extruded textured soy protein under a range of trade names, including soya meat. The modern versions come in many flavours including bacon, chicken, sausage, beef, ham and taco. One company website says that TVP can create some gas after eating, so maybe my early textbooks were true – a vegetarian diet can cause enlargements. Today teaching about vegetarianism is a big topic in schools. Along with food allergies, e numbers and food labels, we have plenty of information and lots of delicious things to cook. It is estimated that over 3 million people eat a vegetarian diet in the UK.